Despite exerting a massive influence and having created their own lane, with crooners like Lana del Ray only being one of the more obvious epigones, Californian dream pop darlings Mazzy Star rarely incarnate on stages. If they do, as they did tonight for the first time on terra australis after a career spanning three decades, it results in a natural extension of the aura of their songs. 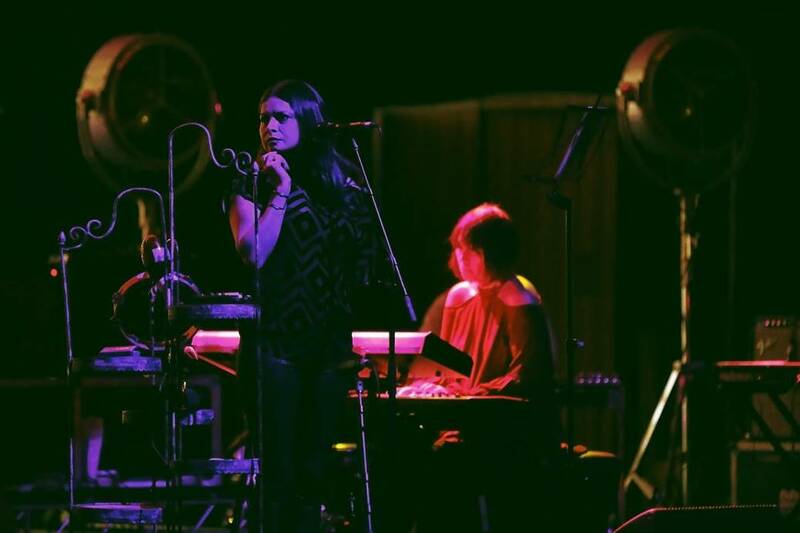 The adjectives that could be best attributed to Hope Sandoval and her full backing band in a live environment – and they have been used time and time again to describe their oeuvre - would be “spacey”, “ethereal”, “haunting” and “beautiful”. The ambience of the live presentation is enhanced by Hope’s shyness, as the set-up is deliberately stripped back, with her in the front performing in near darkness set against animated projections of desert landscapes floating and starry skies floating by in the background. There is certainly something to be said for this approach as doing without frivolous ornamentation and showy asides puts the focus firmly on the melancholy of the music and Sandoval’s dreamy vocals. The audience was mesmerized by the hypnotic performance and did not seem to mind the Hope’s lack of interaction, engagement and banter. Rendering herself nearly invisible and only as an unaffected, dark silhouette makes her an instrument that blends in with the rest of the band and the séance that essentially makes a Mazzy Star live show. They perform at their own terms, which adds to the mystery and reduces what is being performed to its essence. On the other hand one cannot help but understand why quite a few people exited halfway through the set as the ones not familiar with Hope’s shyness might have hoped to experience Mazzy Star in more than the audio version.